There is a new Immigration Health Surcharge which will be introduced on 6 April 2015. The health surcharge will be paid by non-EEA nationals who apply to come to the UK to work, study or join family for a time-limited period of more than six months. It will also be paid by non-EEA nationals who are already in the UK and apply to extend their stay. Those who pay the surcharge will be able to access the National Health Service (NHS) in the same way as a permanent UK resident. The surcharge is set at £150 per year for students, with dependents generally paying the same amount as the main applicant. The payment will be requested at the time you apply for your visa for all applications made on or after 6 April 2015. The amount payable will cover the entire period of permission to stay. If you are applying for a Tier 4 student visa, you will be required to pay the charge in full for the number of years you study e.g. a three year degree would mean a charge of £450 payable at the time you apply for your visa. If you have dependants (wife/children), they will also have to pay £150 for each year of study by the main applicant e.g. a PhD student studying for three years with two dependants would mean a charge of £1,350. The surcharge will not apply to visitors, such as tourists or those coming to the UK for less than six months, or to EEA nationals residing in the UK. Tier 2 - intra-company transfer migrants and their dependents are also exempt. Detail on the immigration health charge are on the UKCISA website. Remember, the charge applies to all new visa applications on or after 6 April 2015 including any visa extensions done within the UK. Please contact the International Student Advisory Service team if you have any concerns. We will send more information to new students, agents and returning students as and when it becomes available, and when procedures are clarified. You may be aware that the UK Home Office recently announced changes to English language requirements for students studying in the UK. There is now only one SELT provider that is acceptable to the Home Office worldwide, and that University of Plymouth accepts, and this is the IELTS examination (academic test). Other SELT providers will not be on the Home Office’s list of approved Secure English Language tests after 6 April 2015. The University will still accept Pearson and Cambridge tests of English as a non-SELT for degree level studies after 6 April 2015, but these will no longer be accepted for any pre-sessional programme, where a SELT is required. Only IELTS (academic) tests will be accepted for any pre-sessional English Language programme at Plymouth University. Please see our updated English language table (for degree level entry) and English Language Centre webpages. 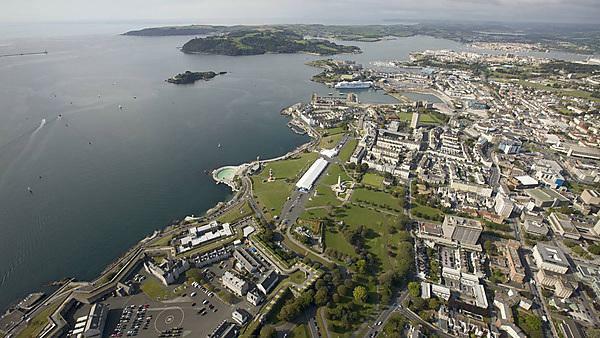 If you have any queries please get in touch with our International Admissions Team at international-admissions@plymouth.ac.uk. If you have taken a different SELT qualification other than IELTS and will be joining our pre-sessional English language programmes, please get in touch so we can confirm if your qualification will still be acceptable. Pearson and Cambridge tests taken before 5 April 2015 will still be accepted (as a SELT) if used in a visa application made before 5 November 2015. Please see the UKVI webpage for more information. Read more updates and news from the UK Home Office and UKVI (UK Visas and Immigration). View latest student immigration news from ISA.